The Jury is designed specifically to fit the Taurus "Judge". 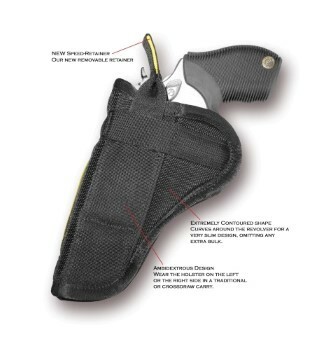 The Jury is a very low profile holster that contours to the hip and allows for a very comfortable carry. The holster uses our NEW "Speed-Retainer" to retain the firearm securely. The Jury is also ambidextrous and can be worn on the left or right side in a traditional or cross-draw carry.